Home » Taxi App » What is the importance of branded taxi booking app development in Taxi Business? The tight competition takes place between the taxi booking app development companies for providing best taxi apps like Uber, Ola, and Lyft. These taxi apps have created a serious impact on the taxi businesses all over the world. As a result, the traditional taxi businesses face a very pathetic situation as the customer’s shifts towards these apps based cab hailing services as it offers a much better cab booking experience. Most of the taxi dispatch software is available with various features, people always prefer best taxi dispatch software to run the taxi business. According to the 2018 report, cabs loses at least $20 million on a daily basis just because passengers are unable to find a taxi. While many taxi and cab companies are still stuck with inefficient phone call bookings, competitors are using real-time mobile booking channels. The interaction between cab drivers and passengers are now virtual and everyone look’s forward to quick mobility services. Investing in taxi app development to build a mobile booking channel has become a notable business choice for taxi operators. The unique reason which applies to all successful taxi business is embracing the new technologies in the taxi booking app development. Real-time tracking helps the Passenger to find taxi much easier when it arrives. Real-time tracking feature in your taxi dispatch app helps drivers and passengers both can be aware of each other’s exact location and make the pickup comfortable. Moreover, the admin can monitor whether the driver has picked up the passenger from the pickup location or not. This helps the taxi business owners to become safe from competitors and provide a quality service. With the help of a taxi dispatch app, the cab business owner can evaluate the taxi drivers based on providing services to passengers in a right way or not. The issues can arise due to fare or maybe misconduct towards the passengers. If such things happen the passenger has an option to provide the feedback to Taxi company. This could help you in identifying the actual problem and to better your driver’s efficiency. Feedback system in Taxi app development is a great platform for the passengers to express their thoughts on the cab service they experienced. This helps the taxi business owners to Improve the quality of service further. If the passenger leaves a bad ride experience as feedback, the admin can immediately take action towards the driver and can avoid the same issues from other passengers in future. What will happen if you don’t have Taxi Dispatch App Development? In earlier times the passengers find hard to find a taxi and were not possible to get any clue whether the taxi is available in that region or not. But when smartphones become the trend People uses various apps to avail different kinds of services like booking cab, booking hotel, booking movies and so on. Taxi dispatch app or taxi booking app have nowadays become the trend and majority of people prefer taxi dispatch app for booking a taxi for their ease. Manually updating the records become more complicated during the ride and need to lose time for that. It becomes difficult while the passenger bargains and cannot reach the next customer on time. Using taxi dispatch app development the cab driver can avoid these kinds of problems. In past times the admin also needs to change the status of each driver by communicating through Radio and store those data to keep track. The system becomes complicated when the taxi network increases and it will be difficult for taxi business to expand without taxi app development. When a passenger calls the admin for booking a taxi. The admin needs to pass the message to the driver through radio and cannot understand the driver is available for service or not. The method would at least take 15 – 30 min for processing. Taxi booking app development solves this issue and makes the system more transparent and faster. The interaction between drivers and passengers have now become virtual and everyone prefers best service with less time. Therefore taxi booking app development has become an important factor for every taxi business to grow. Here is a typical taxi dispatch software with ample of features to build and grow taxi business faster. 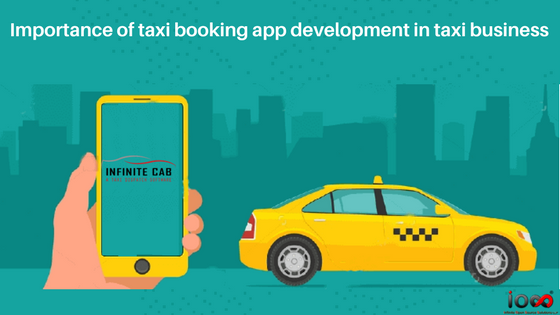 No Thoughts on What is the importance of branded taxi booking app development in Taxi Business?